Also known as land of Gods, Uttarkashi is a beautiful town located in the north Indian state of Uttarakhand. This town is famed among the tourists for its scenic natural beauty and religious significance and thus attracts swarms of tourists. 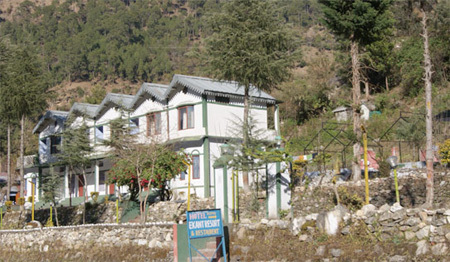 In order to relish a snug stay in Uttarkashi in enticing and affordable prices, Ekant Resort is a preferable option. 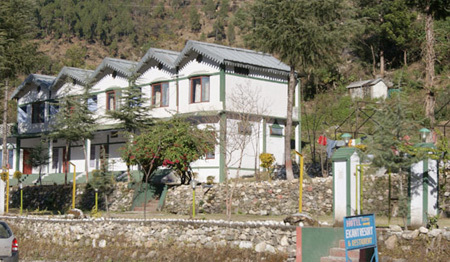 Located at a distance of around 5 kilometers from Uttarkashi in the village of Naitala, Hotel Ekant Resort is a standard accommodation option offering a snug sojourn to the tourists in the price so enticing and affordable. The hotel is strategically located with a scenic ambiance. Some of the standard amenities offered by the hotel are car parking, doctor on call, travel desk, and more. There are luxurious rooms in the hotel. These rooms are scrupulously designed and are well-equipped with lovely interiors and fine furnishings. These amenities include round the clock room service, attached bathroom, comfy bedding, and more. The restaurant in the hotel offers a list of delicious Indian, Gujarati, and Continental dishes. 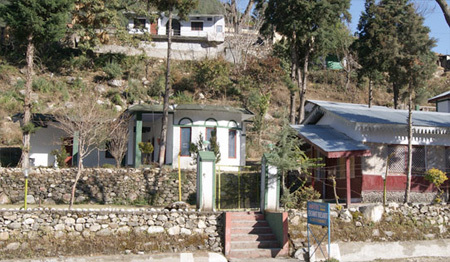 We at Tour My India, offer great deals on Ekant Resort booking - Get in touch with us to get unbelievably low price room reservations at Ekant Resort, Uttarkashi . The resort offers a lavish lodging experience to its guests in its beautifully designed and decorated 15 luxurious rooms that are divided into two categories i.e. deluxe and super deluxe room. Each room in the hotel has attach baths with running hot and cold water. Further, the rooms of the hotel are also well appointed with basic amenities such as telephone, work desk, desk, etc.